highlewelt offers a complete range of Hardware and Software for the production and consumption of VR and AR content. The professional VR-highset is for day-to-day usage and for extended VR-Entertainment. 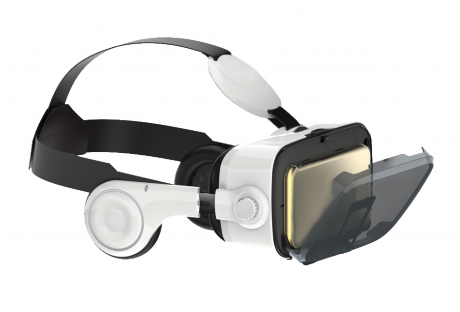 This solid VR-highset holds all sizes of Smartphones and allows adjustment for each lens, the distance of the lenses and the distance from lenses to the smartphone. It is even a great choice for those of you wearing glasses. Our new VR-highset is available with or without headphones. For both version we optionally offer a Bluetooth controller for iOS, Android and PCs. 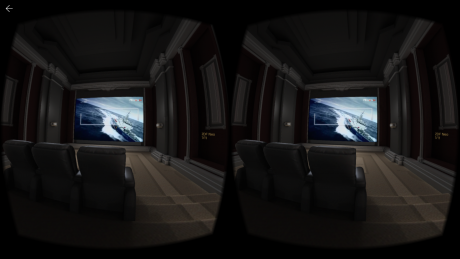 The highmkino App turns your Smartphone with VR-glasses into a mobile Home Theater. Our highmkino App is for free and offers access to more than 500 TV and Video channels. Just stream a film on your iPhone and experience with VR-glasses a true Cinema feeling in virtual 360° environments. The highmkino App is available on the AppStore and shortly as well on Google Play Store. If you are seeking a professional and creative agency for the creation, production and implementation of VR und AR solutions, please speak with us. We present your products in 3D and give your customers a completely new, innovative and sensual opportunity to experience them. To enable this fascinating neoteric format, your customers just need their Smartphone and one of our comfortable VR-highsets. They get an unbelievably realistic impression of standing right in the middle of your environment. They feel that they could even touch the objects that surround them. It is surprisingly stunning, it is a new way of perception, it is a mixed mode between Real and Virtual. With our “High-Tec” you are able to present your house, apartment, hotel, restaurant, club, scenic drive, car, ship, airplane, furniture, machine, or whatever you you want. We happily make it a virtual reality for you and for your audience. With just one eye it is impossible to see 3 dimensionally. Our brain needs 2 different pictures for perceiving distance and depth to create a 3D experience. This is what we provide. highlewelt has developed a Camera Stand for 2 cameras in eye distance. 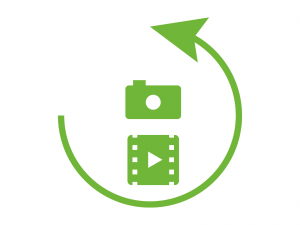 For the production of the 3D photos we rotate the cameras in precisely defined angles taking up to 36 shots with different shutter speeds, optimizing and aligning light attributes. Our post-production service "stitches" these picture to two 360° ”domes”, one for every eye. This provides a very unique advantage. 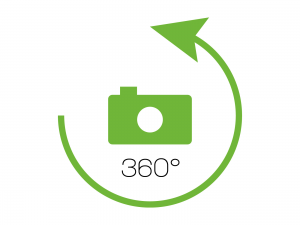 We surpass 2D and panorama features now available on most smartphones and cameras by delivering a true 3D experience! 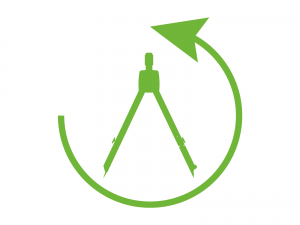 Of course we can also utilize and implement 3D data models, construction data of any kind of objects. We can add texture, light, shadow, and any kind of further audio-visual information or animations. Whatever it is, our Software magicians are able to put your data in an amazing and stunning context. With this 3-dimensional content (Photo, Video, 3D data) we can produce a customized and branded App for all Smartphone and Tablet operation systems. Of course, the result can be published also in 2D via Internet, across all devices including PCs, MACs, Tablets, Surface systems or in presentation environments.